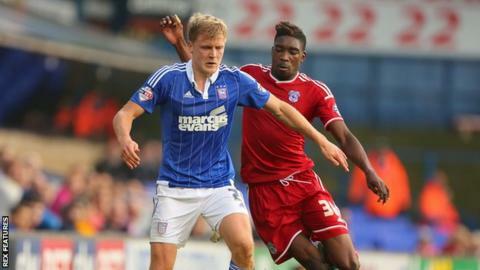 Ipswich Town's Norway international left-back Jonathan Parr is set to join Stromsgodset in his native country. The 27-year-old has made 43 appearances since joining from Crystal Palace in 2014, but only 10 have come this term. "His contract's up at the end of the season and I think they're offering him a long-term deal for him to go home," said Town boss Mick McCarthy. "He really wants to do that, he doesn't want to be here. But he's been a really good ambassador for the club." Parr first moved to England in 2011 with Palace from Aalesunds FK, winning player of the year in 2011-12, before helping Ipswich to the Championship play-offs last season. "Whenever he's played, he's always done his job, played well, fitted in, been a sub a lot of times and just been a good guy to have around," McCarthy told BBC Radio Suffolk. "It's probably better for all parties when you've got someone who's really pining to go home, then we'll have to try to get somebody else."